With players and staff being paid late on numerous occasions this season, it is not hard to see why the Wanderers sit eight points adrift of Championship safety. Conditions off the field are making it incredibly difficult on it. And today could be one of the biggest days in the club’s 145-year history. 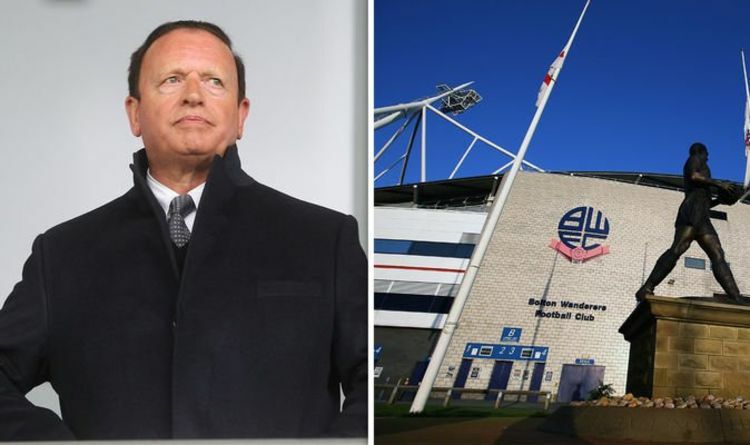 HMRC have issued Bolton, a founding member of the Football League, their sixth winding-up petition in 16 months over an unpaid £1.2million tax bill, according to the Bolton News. It is unclear how aggressive HMRC will push for the Whites to be liquidated and expelled from the Football League at the High Court this lunchtime. No Football League club has been liquidated since Aldershot in 1991/92. All of Bolton’s results this term would be removed and they will have to reform from the basement of the football pyramid, should they be liquidated. However, HMRC could instead push for administration, which in itself would bring on a 12-point deduction and the quick-fire sale of assets to try and recoup some of the debt. No football club has entered administration in England since Coventry six years ago. Bolton owner Ken Anderson is wanted out by the majority of the supporters and he has tried to silent the press by banning local media and a club legend from the University of Bolton Stadium. Those bans were recently uplifted as a sale of the club, to the Football Ventures consortium, reached the latter stages. However, that deal broke down last week, according to the Bolton News, and the Wanderers head into this morning’s court battle with little hope. If Anderson can prove that he is close to selling the club then the court could adjourn the case to give time for the deal to go through. But that would only give Anderson two weeks to sell. To make matters worse, Forest Green Rovers chairman Dale Vince has started legal proceedings against Bolton following the failed sale of striker Christian Doige. “Bolton entered into a contract to loan and then buy Christian last August without the means to honour it,” he said in January.